More rocking in Rotterdam this year. As we mentioned in our previous newsletter the band is always happy to play concerts in their hometown. 4 already played and we can add 4 more to this years' list: 24 May - 4 July - 10 July - 6 September 2014. 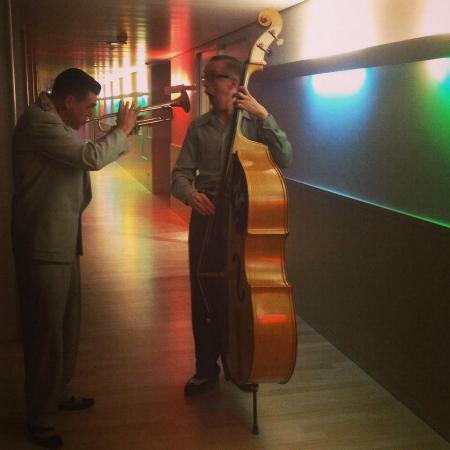 We are excited to share the stage with two of our favorite musicians again: sax legend Benjamin Herman (right) plus Joe Rivera with his dashing distinctive trumpet sounds. This will be the 24th of May at "De Ronde van Katendrecht". An early afternoon concert; don't miss! 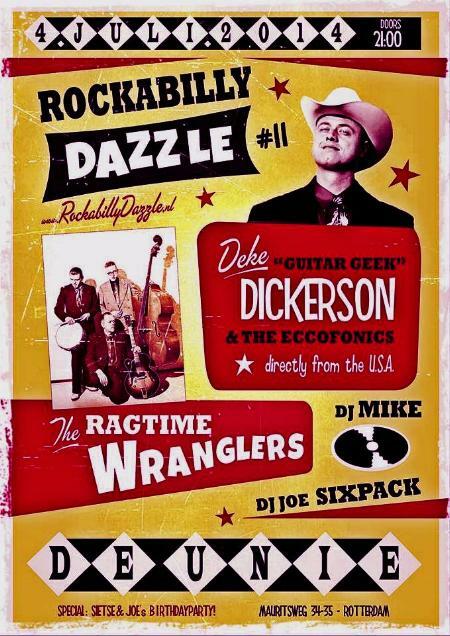 4 July will be Rockabilly Dazzle #11 with Deke Dickerson; more info ..... please scroll down. Ladies and gentlemen, boys and girls, guitar lovers nation wide ... for the first time ever .... Deke Dickerson and the Eccofonics will play in Rotterdam. We tried many times to book him but somehow he never managed to fit this into his schedule. Finally the 4th of July he will play here in town, at cafe "De Unie", Mauritsweg 34-35. The Ragtime Wranglers will open for Deke with an all instrumental set. DJ Mike and DJ Joe Sixpack will be spinning the wax from 9 PM until .... late!! 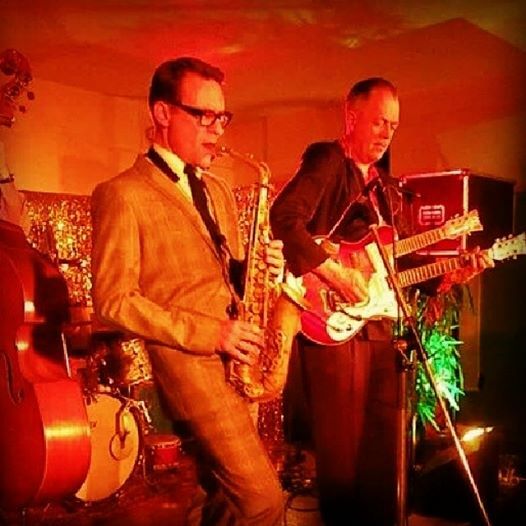 Rockabilly Dazzle part 11 is made possible with support of "North Sea Round Town". Btw ... this is a double party: Joe and Sietse will celebrate their birthday too. 10 July The Ragtime Wranglers play at Doelen Cafe downtown Rotterdam for "North Sea Around Town". At 6 September Miss Mary Ann will play at "Nacht van de Kaap", again at Katendrecht, a famous part of of our city with an interesting history. So .... four gigs played in Rotterdam and four scheduled. Keep those concerts coming in.... we're on the phone at this very moment for some more.